Do you love looking at interior designer portfolios? I sure do. I often ooh and aah and wish I could share the eye candy with you. And then it struck me – why not? I mean, this is a home decor blog after all and I have to assume that if you’re here it’s because you love finding inspiration from beautiful interiors as much as I do! So today, I want to share a few of my favorites from the portfolio of designers Alex Deringer and Courtney Cox of the design firm Ivy Lane. Their work is so wonderful that I had a hard time narrowing it down to just a few. A lovely living area filled with grays and soothing blues. A soothing and serene master bedroom. 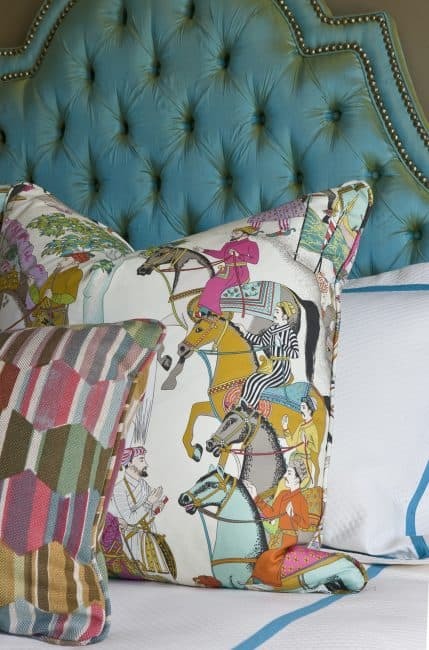 Beautiful headboard and pillow fabrics. An adorable accent table that is perfect with the side chair. Click HERE to see more examples of the wonderful interior design work of Ivy Lane. Suzy it is those great details, like the unique side tables that really make a difference. Thanks for featuring Ivy Lane!! Hi Karena. 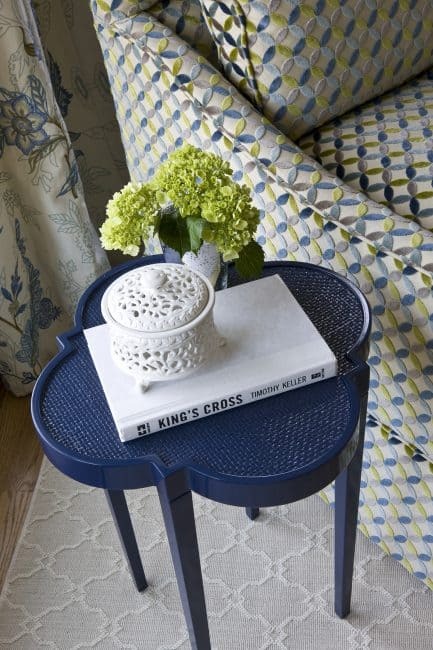 I love, love, love that little side table! And you’re so right – it’s all about the details. I am totally oohing and ahhing over all that fabulousness! 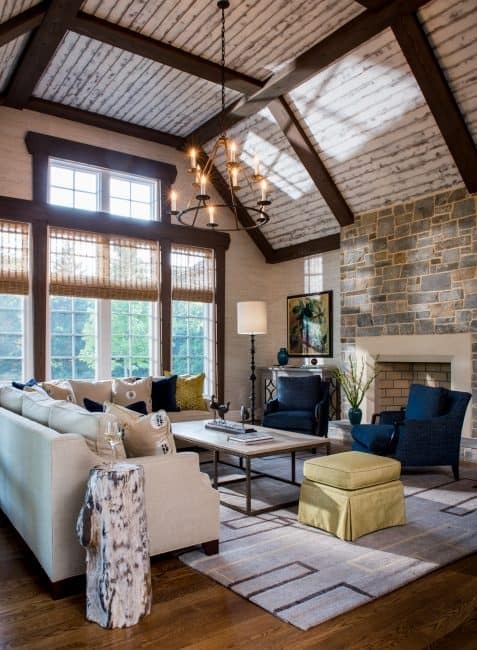 Love the ceiling in the family room and pillows on the master bed! Thanks so much for sharing!